In 1915, a famous yet young barrister set foot on his motherland after spending about twenty-one years on the foreign soil of South Africa. The political views and ethics as well as the discrimination and exploitation he faced in the Rainbow nation could not in any way prepare him for what awaited him in his homeland. When his teacher and mentor Gopal Krishna Gokhale called upon his services back home, Gandhi could not refuse. Little did anybody know that Gandhi’s arrival would give the entire Indian national movement a new lease of life. It was in the same year that Gandhi was in search of a place where he would be able to settle down with his associates and observe the Indian scenario. It was during this time that Gandhi discovered the Sabarmati ashram site. It was said that before the ashram was built the site was a forested region full of snakes. It is also said that Gandhi forbade the killing of any of those snakes. It was in this place by the banks of Sabarmati river that the ashram was built. 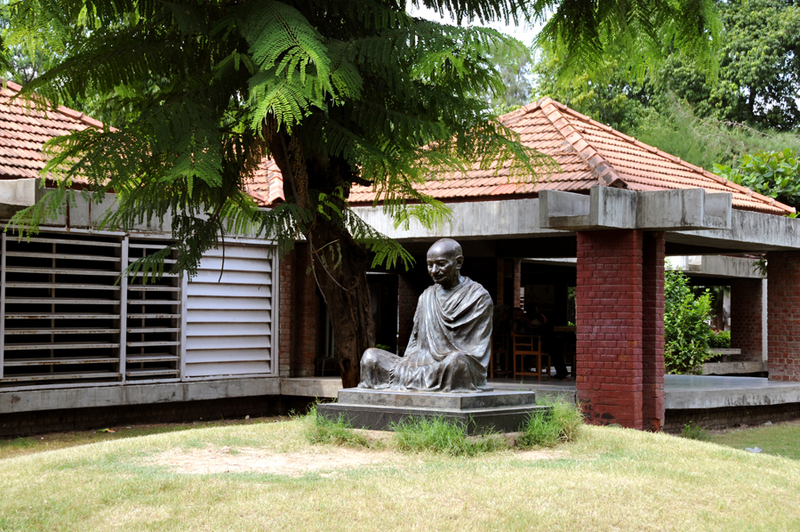 The historical importance of this site is not limited to being a settlement for Gandhi, but he also initiated his first anti-British movement from Sabarmati ashram. He started the textile worker strike from this place. Not just this, he also started his campaign against untouchability from this very ashram. To witness the aura of this place, one can have a stop-overat any resorts in Gujarat before heading over to the ashram. The ashram has a lot to offer for any tourist. From occasional exhibitions to a museum dedicated to the time Gandhi and his associates spend in the ashram, a visit to the Sabarmati ashram is truly an enlightening experience. The event that etched Sabarmati ashram in the hearts and minds of Indian happened when Gandhi in his bid to non- cooperation and Satyagraha, rebelled against the very exploitative salt tax imposed by the British rulers. He along with his closest seventy-eight associates to break this tax. It is this Dandi march that set-in motion the final movement that led to the independence of this nation. If the sheer history associated with this place enough to lure in tourists, then the ashram also exhibits the charkha Gandhi used himself, as well as his writing desk and a lot of his personal belongings like his khadi kurta, a yarn spun by the freedom fighter himself and his hand-written letters. Along with these the ashram also exhibits life sized paintings and numerous enlarged photographs of historic events. The rich ashram library also boasts of about thirty thousand books dealing with the life and times of Gandhi. For a tourist staying in five star hotels in Ahmedabad the simplicity with which the ashram dwellers lead their lives might come across as a cultural shock of some kind. Overall, a visit to the Sabarmati ashram can be a thoroughly breath-taking experience. A visit to Ahmedabad is incomplete without visiting Sabarmati Ashram, so make sure you don’t miss this place!